Yvan Alagbé is one of the most innovative and provocative artists in the world of comics. In the stories gathered in Yellow Negroes and Other Imaginary Creatures--drawn between 1994 and 2011, and never before available in English--he uses stark, endlessly inventive black-and-white brushwork to explore love and race, oppression and escape. It is both an extraordinary experiment in visual storytelling and an essential, deeply personal political statement. 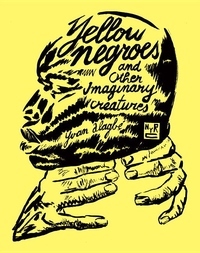 Yvan Alagbé - "Yellow Negroes and Other Imaginary Creatures"